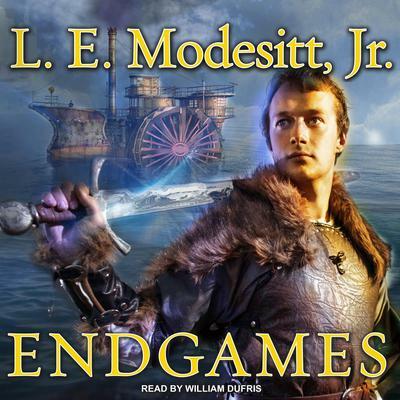 Endgames is the twelfth novel in L. E. Modesitt, Jr's New York Times bestselling epic fantasy series the Imager Portfolio, and the third book in the story arc that began with Treachery's Tools and Assassin's Price. Solidar is in chaos. Charyn, the young and untested ruler of Solidar, has survived assassination, and he struggles to gain control of a realm in the grip of social upheaval, war, and rioting. Solidar cannot be allowed to slide into social and political turmoil that will leave the High Holders with their ancient power and privilege, and the common people with nothing. But the stakes are even higher than he realizes. 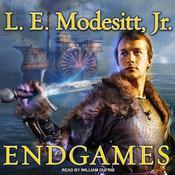 Endgames is the twelfth novel in L. E. Modesitt, Jr's New York Times bestselling epic fantasy series the Imager Portfolio, and the third book in the story arc that began with Treachery's Tools and Assassin's Price. Author Bio: L. E. Modesitt Jr.